On January 25, JICA Tokyo and JICA Global Plaza visited Nagaoka University of Technology (NUT) to enhance the collaboration and explore the possibility of cooperation for SDGs. 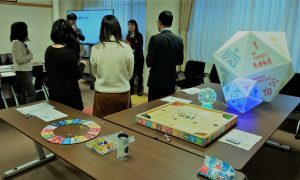 NUT’s GIGAKU Innovation Program students explained and demonstrated SDGs games which were created by them. 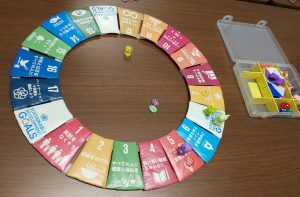 If you would like to create regular icosahedron, NUT offers free original SDGs educational materials.